LabVantage today announced the availability of its SAPPHIRE™ Release 5.1 Laboratory Information Management Suite (LIMS). SAPPHIRE is an industry-leading zero footprint and configurable off-the-shelf (COTS) LIMS that consolidates functionality typically found in multiple laboratory systems. SAPPHIRE is readily tailored to manage an organization's laboratory information across its worldwide R&D pipeline and manufacturing supply chain. CSols, Inc. is pleased to announce the addition of Jeff Policastro, formerly of LabVantage/Applied Biosystems, as the new Business Development Manager. Siemens new RAPIDComm(R) Data Management and Connectivity Solution Version 3.0 provides point-of-care coordinators and laboratory managers a single interface with real-time access for managing multiple remote Siemens blood gas and urine analyzers-standardizing testing procedures, facilitating compliance and improving risk management for point-of-care testing. Sunquest, a leading provider of healthcare diagnostic information technology and outreach solutions, has successfully completed system-wide implementation of a software standardization program at seven hospital laboratories of the Cleveland Clinic in Ohio. The primary focus of the initiative was to standardize their laboratory operations to a single software solution. Autoscribe is pleased to announce the availability of Issue 1 of Matrix Matters, a newsletter dedicated to the LIMS market. The first issue contains article extracts relating to both system implementation and system configuration supplemented by details of the “How to buy a LIMS” guide. 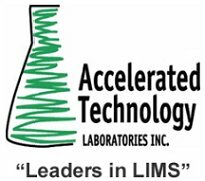 Life science topics include biobanking, radio-pharmacy laboratory management and PET (Positron Emission Tomography) LIMS. There is also an extract from a case study involving the Roy Castle Lung Cancer Foundation. The unique benefits of Matrix Gemini are discussed and information on recent customer surveys, conducted by Autoscribe, is also included. Full articles on all of these topics, and much more, will be available using a response form supplied with the newsletter. Autoscribe Limited is a leader in the development and supply of innovative configured solutions within the scientific laboratory and business markets. Gentel Biosciences, a leader in proteomics discovery tools, today launched the Gentel Proteomics Multi-System™ providing “scan-to-analysis” functionality for multiplex immunoassays, lysate and antigen arrays as well as Western Blot, ELISA and tissue imaging, delivering multi-application value to researchers worldwide. 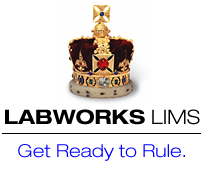 Labtronics Inc. announces the new Instrument Integration Standard which eliminates 85% of the time and effort required to design, test and implement interfaces between any instrument and LIMS or SAP. First version of SORD compound library for pharmaceutically relevant compounds now commercially available. IDBS, the leading worldwide provider of research data management and analytics solutions to R&D organizations, today announced the availability of E-WorkBook Suite 8.2, the newest release of its next-generation electronic lab notebook (ELN).